their win over Sam Houston. SUGAR LAND, TEXAS (May 28, 2016) The No. 8 Stephen F. Austin Lumberjacks extended their season by at least one game as they defeated the No. 1 Sam Houston State Bearkats by the score of 1-0 in an elimination game of the Southland Conference Baseball Tournament in the Houston suburb of Sugar Land, Texas on Saturday, May 28, 2016, The game, which was played at Constellation Field, forced a 4 p.m. rematch between the two squads, with the winner advancing to the tournament final against the No. 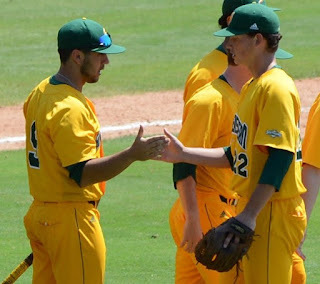 2 Southeastern Louisiana Lions on Sunday, May 29 with a 12 noon first pitch. The Lumberjacks scored the game's lone run in the sixth inning when first baseman Stephen Stuart singled to right field on a 2-1 pitch, allowing designated hitter Conner Fikes to advance to home from second base. It was the seventh RBI for the Cypress, Texas native, who played his junior college ball at Blinn Junior College, in Brenham, Texas. With the win, the Lumberjacks raised their record to 30-29 while the Bearkats fell to 39-20. Right-handed reliever Austin Hearn received the win, his second of the season; facing three batters, throwing six pitches in a single innings. SHSU starter Dakota Mills received the loss, giving up the single SFA earned run on six hits, while facing 21 batters. SUGAR LAND, TEXAS (May 28, 2016) The No. 2 Southeastern Louisiana Lions extended their season and advanced to the championship game of the Southland Conference Baseball Tournament with a 4-1 win over the No. 6 McNeese State Cowboys on Saturday, May 28, 2016. 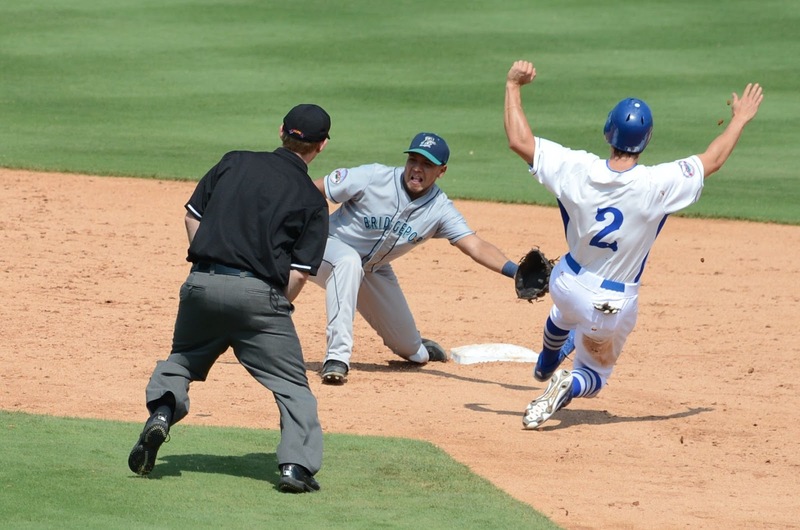 The game was the first matchup of the day at Constellation Field in the Houston suburb of Sugar Land, Texas. The Lions got on the scoreboard early in the game with single runs in both the first and second innings. Left fielder Ryan Byers connected on his first pitch for a double down the right field line. The hit sent leadoff batter Jacob Seward home from third base. The center fielder got on base with a hit on a 2-1 pitch down the right field line; his fourth triple of the season. The RBI was Byers’ 29th for 2016. 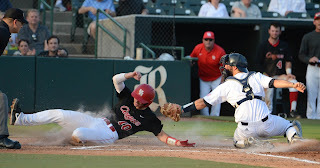 Their second run occured when shortstop Brennan Breaud singled through the left side, scoring designated hitter Daniel Midyett from third base. Over the next five innings, little action occurred until Cowboy second baseman Joe Provenzano, on a 1-1 pitch, sent the ball to deep center field for a stand up triple, his second of the season. It was the first hot for McNeese in the game. Matt Gallier was next to bat when starter Domenick Carlini sailed a wild pitch past catcher Sam Robertson, allowing Provenzano to advance to home for McNeese’s only run of the game. When Gallier drew a walk to place the tying run on base, Lion head coach Matt Riser decided Carlini was done. He brought in right handed reliever Josh Green to complete the inning. The Lion one-run difference would be short lived as Robertson tattooed an 0-1 pitch over the awing covering the party deck in left field for his first home run of the season. The round tripper gave the Lions a 3-1 lead in the seventh inning. They added an insurance run later in the inning when Seward grounded out to second base, allowing third baseman Derrick Mount to score from third base. 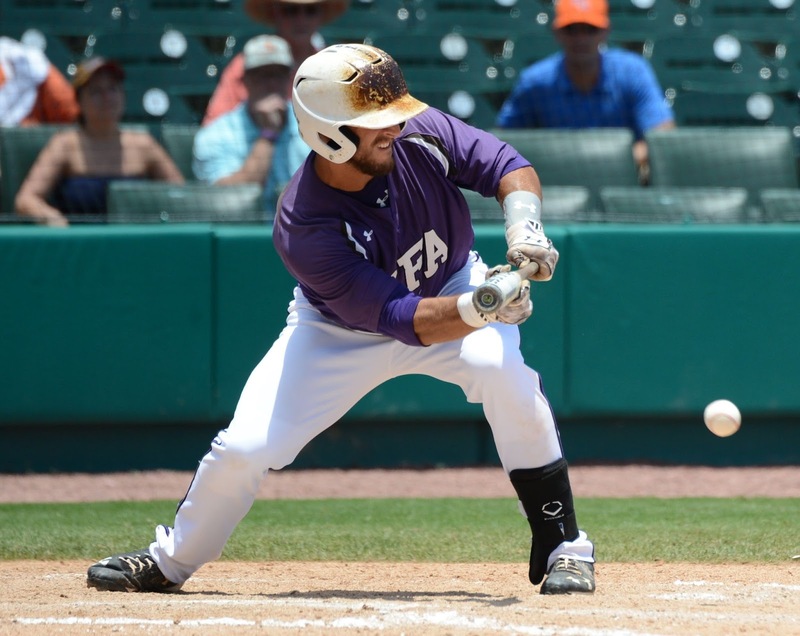 The Lions will next face the winner of the Sam Houston versus Stephen F. Austin matchup in the tournament final on Sunday, May 29, 2016 with a 12 noon scheduled first pitch. SUGAR LAND, TEXAS (May 25, 2016) Capitalizing on 10 hits, the No. 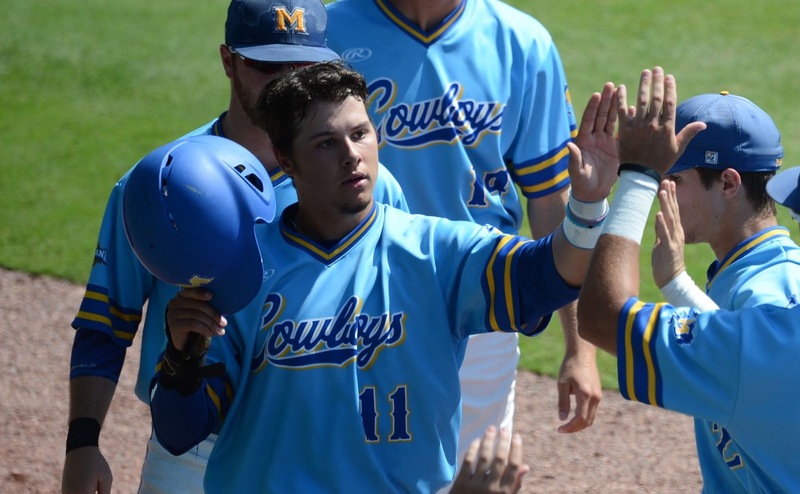 6 McNeese State Cowboys took the first game of the Southland Conference Baseball Tournament with a 3-0 win over the No. 3 Northwestern State Demons on Wednesday, May 25, 2016. The tournament returned to the Houston area in 2016 and is being played at Constellation Field in Sugar Land, Texas. The Cowboys, who raised their season record to 30-23, scored a single run in the seventh inning, adding two additional runs in the eighth. The Demons managed only four hits in the loss with starting pitcher Adam Oller, who pitched seven complete innings, receiving the loss. Cowboy starting pitcherKaleb Fontenot raised his record to 6-5 for the season with the win. The Ville Platte, Louisiana native faced 29 batters, gave up two hits, while striking out 12 and walking only three. Collin Kober, pitching one inning in relief, gave up two hits and was credited with his ninth save of the season. CatcherCameron Toole was 1-for-3 for the Cowboys with one run and one RBI. Center fielder Ricky Ramirez was also 1-for-3, with one run. Shortstop Will Fox went 3-for-4 to increase his hit total to 43 in 2016. With the loss, the Demons drop to 33-23 and will face the loser of the New Orleans vs. Southeastern Louisiana game on Thursday, May 26 with a 9 a.m. first pitch. McNeese State will play the winner of the New Orleans-Southeastern Louisiana matchup on Thursday, May 26 with a 4 p.m. start. In other action on Wednesday, No. 1 Sam Houston will face No. 8 Stephen F. Austin at 4 p.m. with No. 4 Lamar taking on No. 5 Central Arkansas in the nightcap with a scheduled 7 p.m. start. SUGAR LAND, TEXAS (May 22, 2016) The Sugar Land Skeeters scored three runs on seven hits as they shutout the Bridgeport Bluefish by the score of 3-0 at Constellation Field in the Houston suburb of Sugar Land, Texas on Sunday, May 22, 2016. With the win, the Skeeters go to 17-14 in 2016 and take a one-half game lead in the Atlantic League Freedom Division. The Bluefish drop to 10-20 and remain in the cellar of the Liberty Division. The Skeeters got on the scoreboard first in the second inning when third baseman Patrick Palmeiro connected on a 2-2 pitch for a single and an extra base; sending home first baseman Johan Limonta from second base. The hit was Palmeiro’s ninth of the season and his sixth RBI of 2016. Sugar Land extended their lead with runs in the fourth and fifth innings on hits and RBIs by shortstop Beamer Weems and left fielder Jeremy Barfield. The fifth inning RBI by Barfield was his tenth of the season and the ninth in the last seven games. Sugar Land starting pitcher Bryan Morgano received the win, throwing five complete innings while facing 19 batters and striking out four. The left-hander raised his season record to 2-3 on six starts in 2016. Sugar Land will next hit the road for a seven-game road trip prior to returning home to face the New Britain Bees on Tuesday, May 31. They will play the Somerset Patriots on May 24-26 in a three-game series; closing out the road trip with a four-game series versus the Lancaster Barnstormers on May 27-30. The series against the Bees will be a short three-game home stand on May 31-June 2. On June 3, the Skeeters begin a three-game series against the Long Island Ducks on the road. benefiting the Kyle Academy for Autism. displaying their wares and participate in the silent auction. 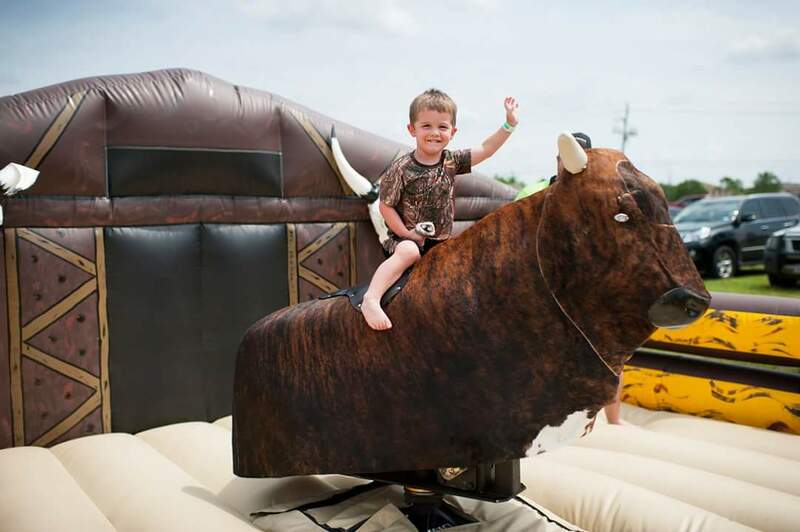 The weather was picture perfect for the May afternoon and everyone in attendance has a blast. The Kyle Academy for Autism was founded by Brian and Jackie Scott. 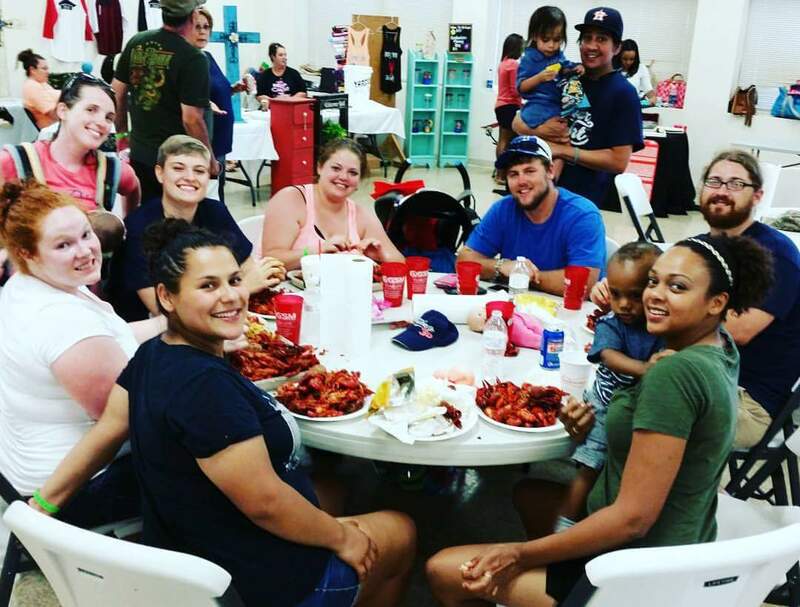 After learning their middle son Deacon, who was diagnosed with autism at the of two and a half, would not be eligible for therapy, due to his age this year, and would only be eligible for life skills classes, they decide to take action. The couple began the process of preparing a future for not only their son, but for others just as special as him. 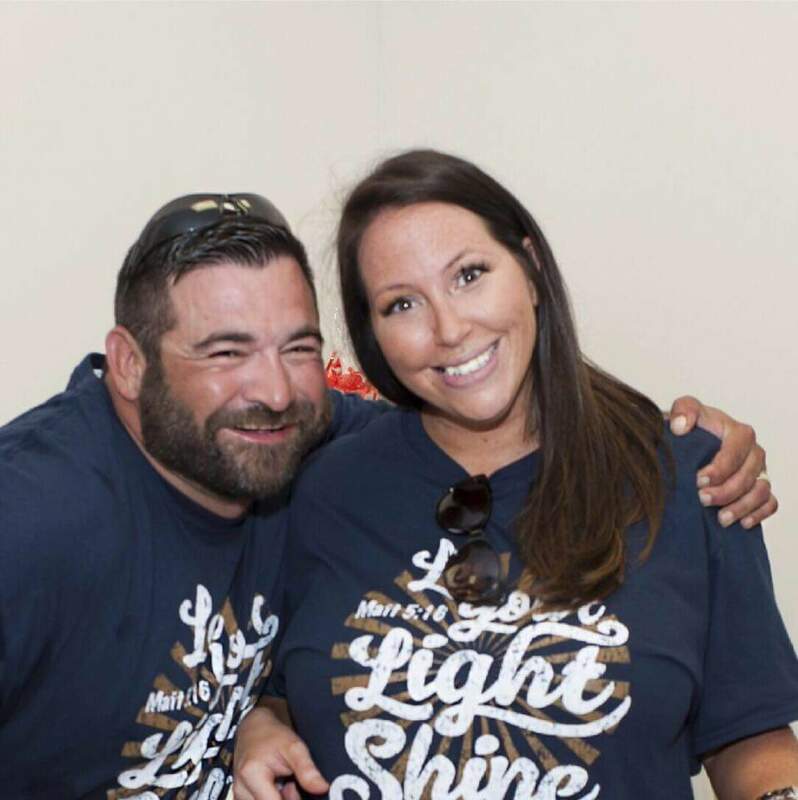 Before leaving her job as a junior high special education teacher of eight years, Jackie provided daily transportation for Deacon. She now provides curriculum for her son’s therapy school, in addition to leading the Academy in providing a fun, unique, and meaningful Christian education to children with autism. For more information, or to donate to the Kyle Academy for Autism, please visit www.kyleacademy.com. 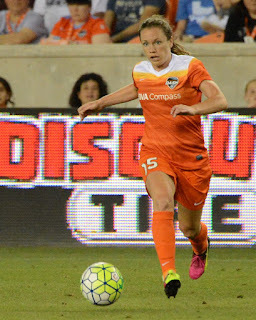 HOUSTON, TEXAS (May 20, 2016) The Houston Dash battled the Orlando Pride to a scoreless draw through 82 minutes of play, but could not hold on and dropped a 1-0 decision on Friday, May 20, 2016 at BBVA Compass Stadium in Houston, Texas. Houston fell to 2-3-1 for the season while the Pride raised their season record to 4-2-0. The first half was a fairly uneventful affair, with neither team able to get the ball into the goal. The Dash did manage three shots on goal in the first 45 minutes and generated a stubborn defense that did not allow any shots on goal by the Pride. Captain Kealia Ohai had one of the three shots for Houston, with forward Rachel Daly and midfielder Denise O’Sullivan accounting for the other two. Houston did a good job of controlling the Pride in second half, but ran out of luck in the 82nd minute when Kirsten Edmonds shot from outside the box and slipped it by Dash goalkeeper Lydia Williams for the score. It was the first goal of the season for the Metuchen, New Jersey native, who played her college soccer for Rutgers University. The second half saw the Dash make two additional shots on goal, with the Pride evening the shots with five of their own. Midfielder Amber Brooks and defender Stephanie Ochs accounted for the two Dash shots in the second half. The Dash again were without the services of 2015 FIFA Women’s World Player of the Year Carli Lloyd. The United States national team captain suffered a sprain of her medial collateral ligament of her right knee on April 23 against the Pride. The injury did not require surgery but her recovery is still progressing. The Dash will have seven days to prepare for their seventh game of the 2016 season; a Friday, May 27 home match against the Washington Spirit. The Spirit are 4-0-1 (13 points) and in first place in the National Women’s Soccer League. Houston dropped a 2-1 decision against Washington on May 14 at Maureen Hendricks Field Maryland SoccerPlex in Boyds, Maryland. HOUSTON, TEXAS (May 10, 2016) The Houston Cougars evened the 2016 series at 1-1 as they downed the No. 13 Rice Owls by the score of 10-0 in the second game of the Silver Glove Series on Tuesday, May 10, 2016 at Reckling Park in Houston, Texas. The Owls took the first game of the three-game series on March 22 by the score of 7-4 at Darryl and Lori Schroeder Park on the campus of the University of Houston. The two teams will play the final game of the series on Tuesday, May 17 at Constellation Field in Sugar Land, Texas. The Cougars jumped out to a quick four-run lead after three innings by getting one runner home in the second inning and three more in the third. Seven batter faced Rice starter Zach Esquivel in the inning with Houston scoring their three runs on two hits and one error. The added three more runs in the fourth inning to take post a 7-0 lead after 21 outs. The Owls came to bat in the bottom of the fourth, but were unable to cut the Cougar lead. Houston added an insurance run in the fifth to increase their lead to 8-0 and two addition runs in the seventh inning to make the score 10-0. The Cougars are 77-102 against the Owls in a series that dates back to 1948. The Cougars won that first matchup by the score of 10-5 at Rice. When Rice has hosted the Cougars, the Owls have posted a 53-29 record in addition to recording a 6-3 record when they have faced each other at a neutral site. The Cougars post a 28-19 for the season and 8-9 in conference action. They are currently tied with Connecticut for fourth place in the American Athletic Conference, with six conference games to go. The will play at Cincinnati on May 13-15 and host Tulane on May 19-21. The Bearcats are in third place in conference with a 10-7-1 record. Tulane leads the conference with an 11-5 record. They will begin play at the American Baseball Championship on May 24 with the tournament final scheduled for May 29. Rice currently leads Conference USA with six conference games remaining. The will face Florida Atlantic at Reckling Park on May 13-15 and finished out the regular season when they travel to Ruston, Louisiana to take on Louisiana Tech. After that, they travel to Hattiesburg, Mississippi to play in the Conference USA Tournament on May 25-29. HOUSTON, TEXAS (May 8, 2016) The Houston Dynamo won their second game of the 2016 season with a 2-0 decision over Sporting Kansas City in front of 20,071 fans at BBVA Compass Stadium in Houston, Texas on Saturday, May 7, 2016. With the win, Houston moves to 2-5-2 on the season with eight points. Kansas City drops to 4-5-2 and 24 points. The Dynamo took the lead in the 30th minute when captain Giles Barnes took a flicker pass from Erick Torres and drilled it past Kansas City goalkeeper Tim Melia for the first goal of the game. Houston doubled their goal number in added time of the first half whenAndrew Wenger found an open lane to the net and scored his third goal of the season, allowing the Dynamo to take a 2-0 lead to the locker room at halftime. The victory ended a six match winless streak for the Dynamo, with their last win coming on March 12 when they downed FC Dallas by the score of 5-0 in the second game of the season. In head-to-head meetings, Houston has defeated Kansas City nine times while losing to their MLS opponent five times. Ten matches have ended in ties. 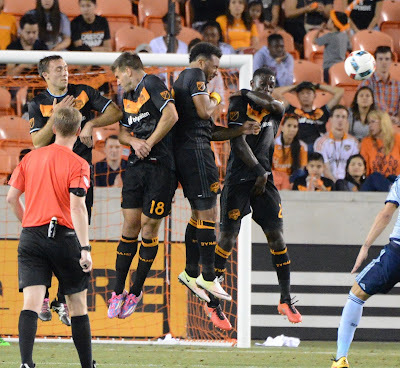 The win gives the Dynamo five victories at home over Kansas City as opposed to three losses. 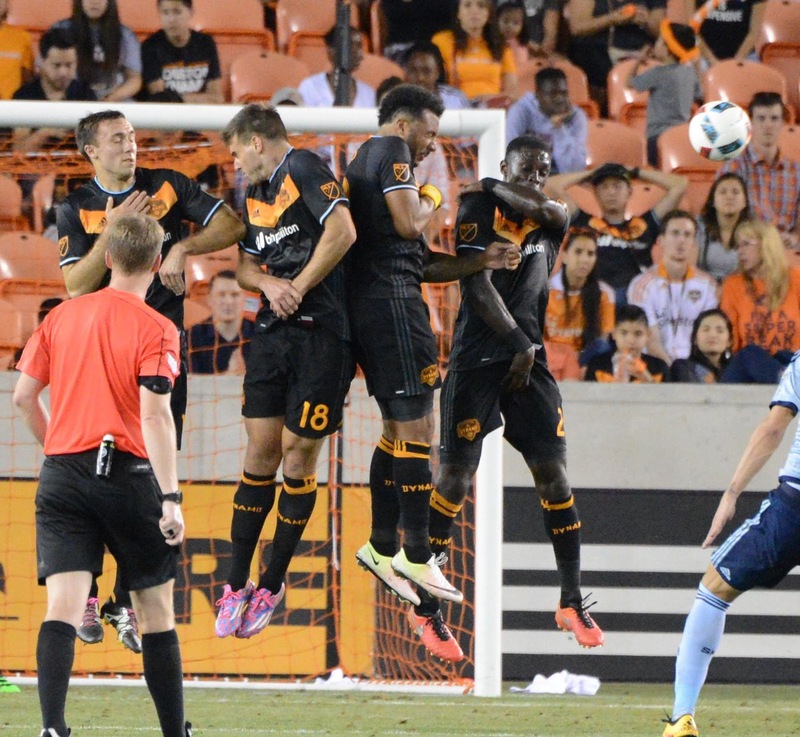 Five Dynamo home games versus KC have ended in ties. The Dynamo will next face the San Jose Earthquakes on Wednesday, May 11 at Avaya Stadium with a 9:30 p.m. CDT start. They will return home on Saturday, May 14 for a 4 p.m. CDT match against Real Salt Lake. At the same time the Dynamo were defeating Sporting Kansas City, their female counterpart, theHouston Dash, also came away with a 2-1 win against FC Kansas City in National Women’s Soccer League action. Denise O’Sullivan scored in the 69th minute and Chioma Ubogagu added the Dash's second goal in the 70th minute for the win.